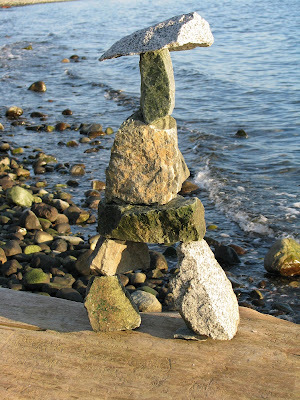 Impressive, not only can you take photos but you can build a rock sculpture, too! Nice! Happy WW! Actually, I didn't build it; I found it. It's an inukshuk. Very cool, what talent someone has. Fabulous picture- thanks for sharing! Great picture! What a wonderful find. Thanks for stopping by my blog Penny Lane and leaving a comment. This made me think of the Walton episode where two of the children were lost in the woods and had to read the Indian rocks to find their way back.